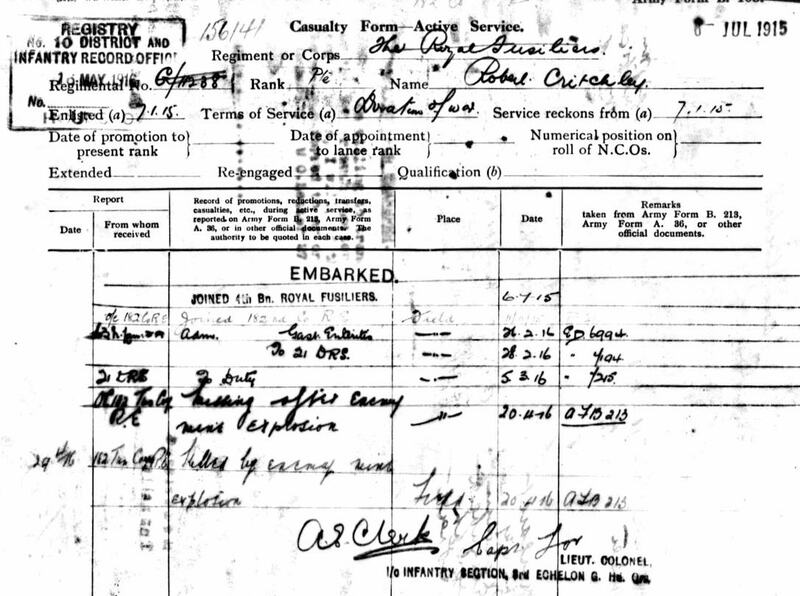 Casualty Form – Active Service for G/11288 Robert Critchley of the Royal Fusiliers showing his attachment to the 182nd Tunnelling Company in November 1915 and his death due to a German mine explosion on 20th April 1916. 25th March 1916. German mine between P74 and P75 at the end of COMMONS COMMUNICATION TRENCH. 8 men killed of missing in action. See here.